By Emery Desper. Photos by Rafael Ochoa and courtesy of Alex Crick / SMI (where noted). 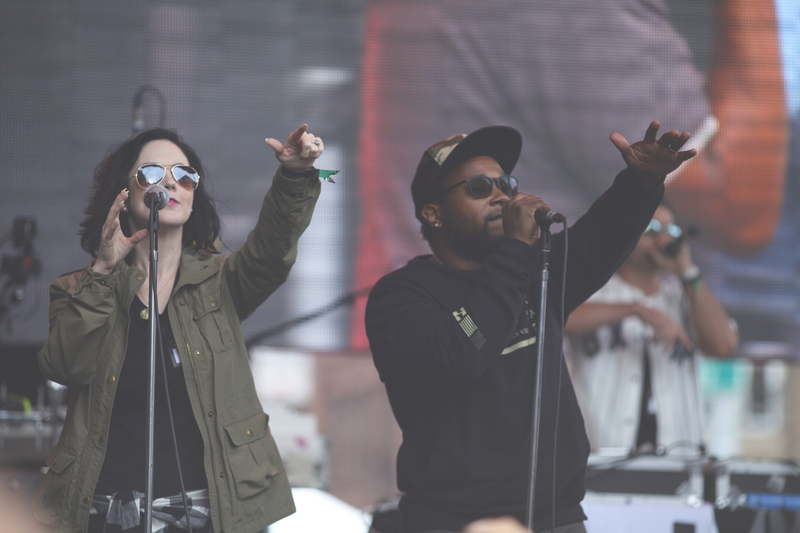 The 2015 edition of Capitol Hill Block Party offered a smorgasbord for fans of Seattle hip-hop. 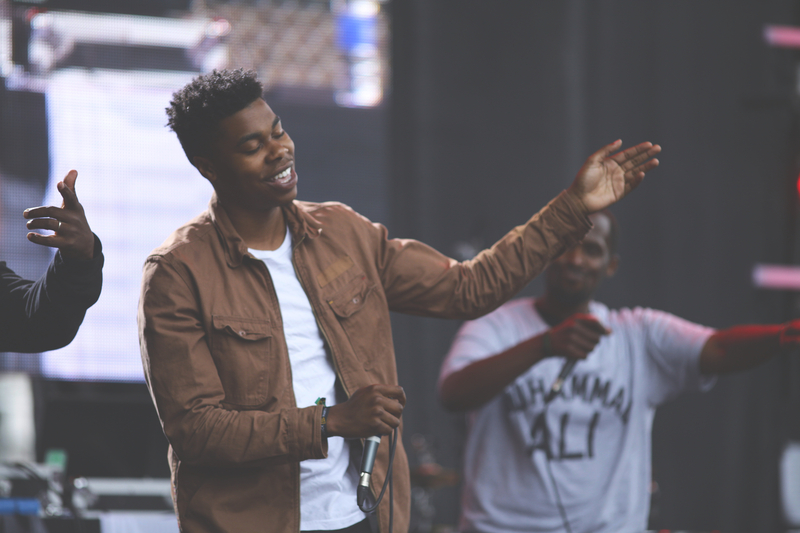 As far as the rap lineup went, it was almost entirely comprised of local artists which gave festival goers a chance to see a great deal of what’s going down on the home front. Instead of going in chronological order of the sets I had a chance to see, I’ll discuss in terms of impact. 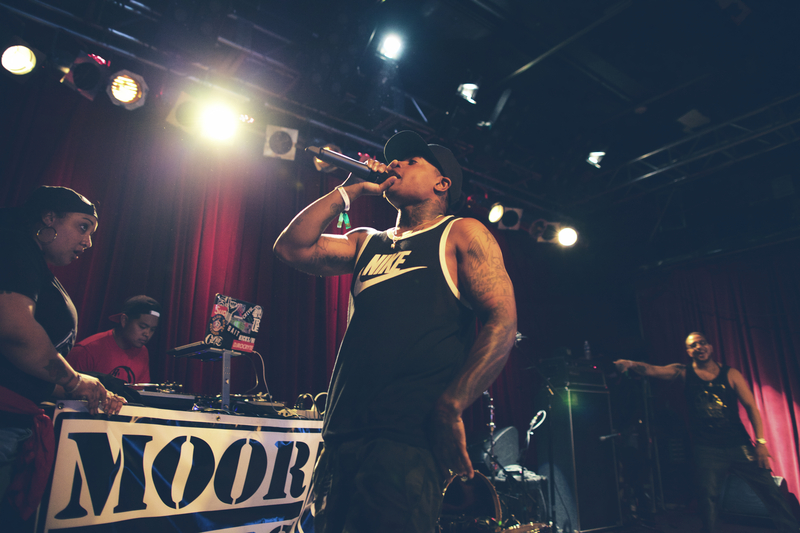 Without question, the most lit set of the whole shebang was Jarv Dee and his collective of fellow rappers, the Moor Gang. Saturday afternoon was a soggy affair. The gray skies made it feel like the “real” Seattle we’ve all been searching for amidst the seemingly endless summer. I don’t know if it was the weather, or everyone’s sheer commitment to having fun regardless of the forecast, but inside Neumos was crazy. 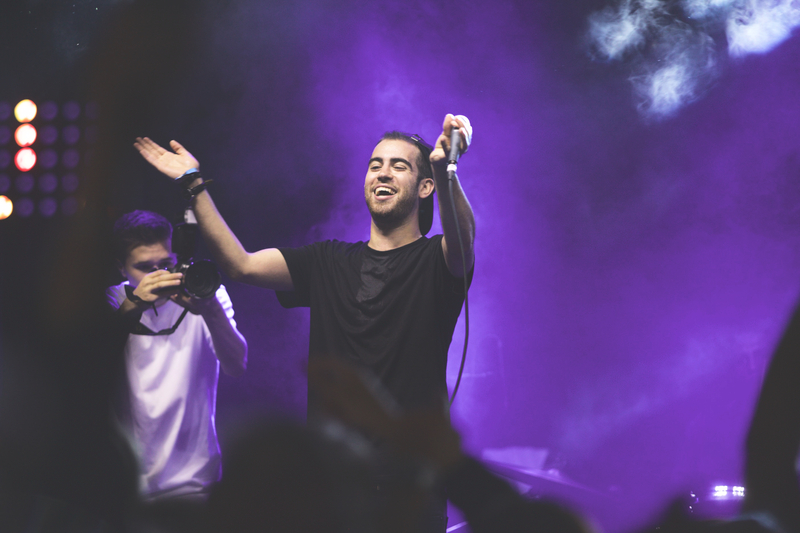 Jarv’s performance was the most seasoned from a rap purist’s standpoint because it walked the fine line of being your “typical” rap show, but managed to also deliver the essence of simply an excellent performance. It’s rare to see a Seattle crowd this hyped about anything and just watching the crowd go nuts made me realize how interesting an artist he is. 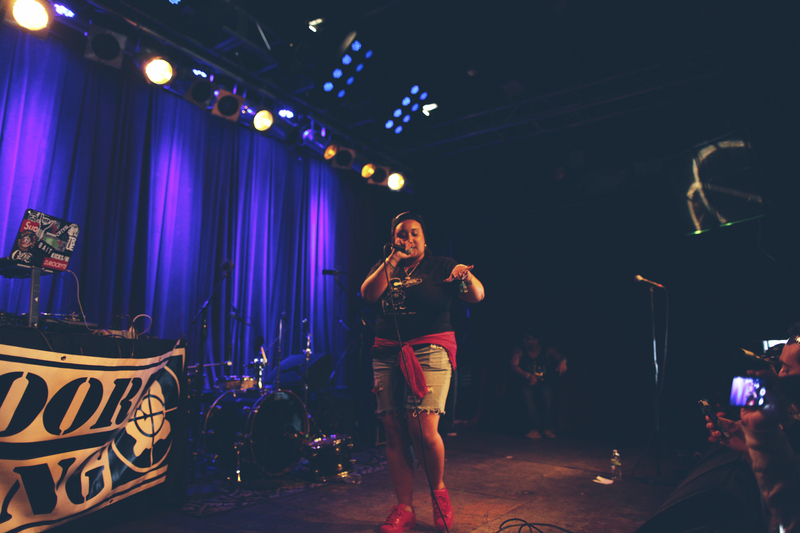 Gifted Gab primed the crowd for Jarv’s appearance by giving a high energy, high impact performance. When she burst onto the stage the whole place felt electric. Her act could best be described with an endless series of flame emojies. She left me believing that she is one of, if not the, best rapper in Seattle. Cole, Sol and DJ Beeba. 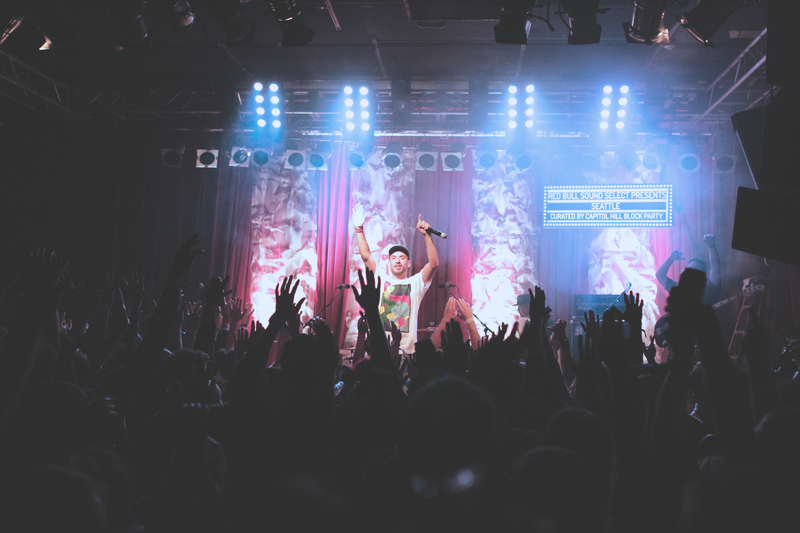 Sol closed out Block Party at Neumos on Sunday and his show felt like a victory lap. The crowd was thrilled to be there. 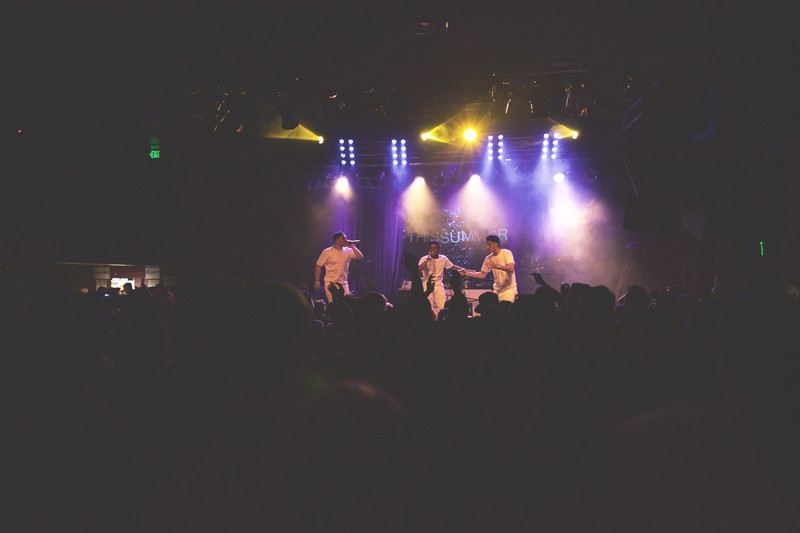 What stood out most to me is that Seattle rap fans are just happy to have hip-hop that belongs to us — the venue was packed even at the end of a long weekend. 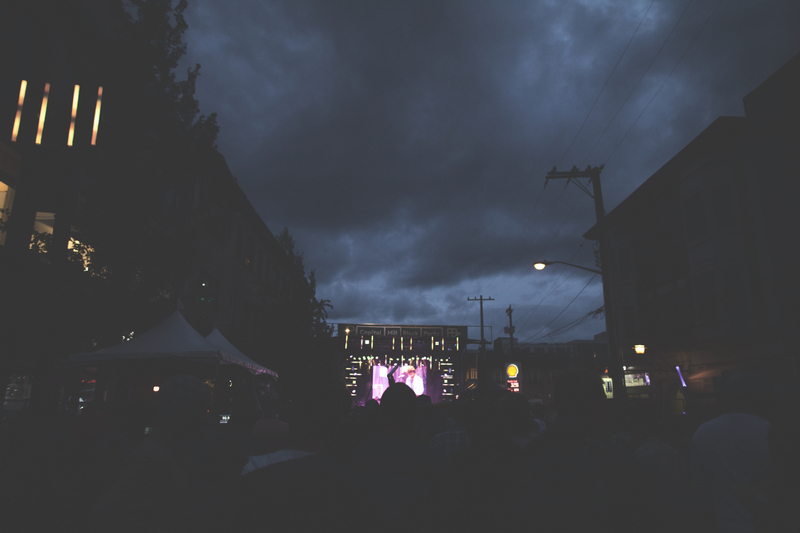 The general excitement people expressed from watching a young University of Washington graduate shout-out his parents and rhyme about his world travels provides useful insight into what many people here seem to enjoy about what’s happening in local hip-hop: This was good clean fun. Sol brought out Brothers From Another who had their own great set on Saturday. 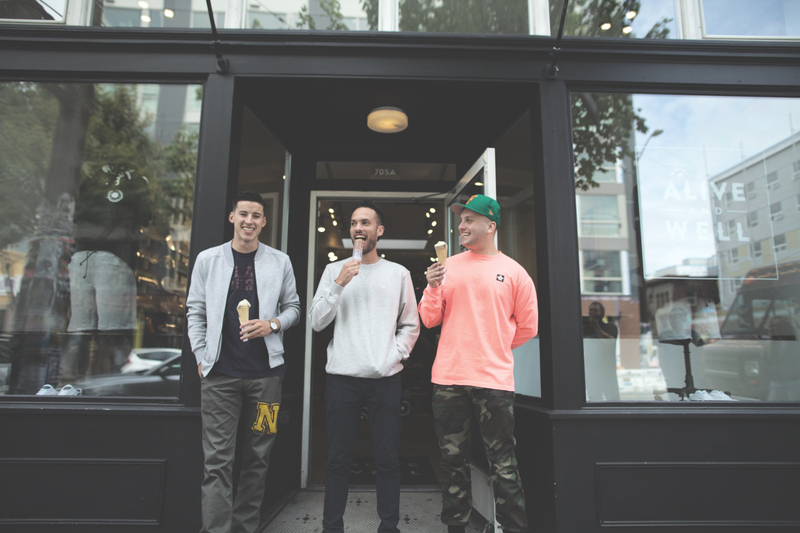 Their music is fun without being corny — an extremely fine line to walk. Also, an appreciative nod to their stage choreography; nothing wrong with a little boy band showmanship. Shabazz Palaces. Photo courtesy of Alex Crick / SMI. 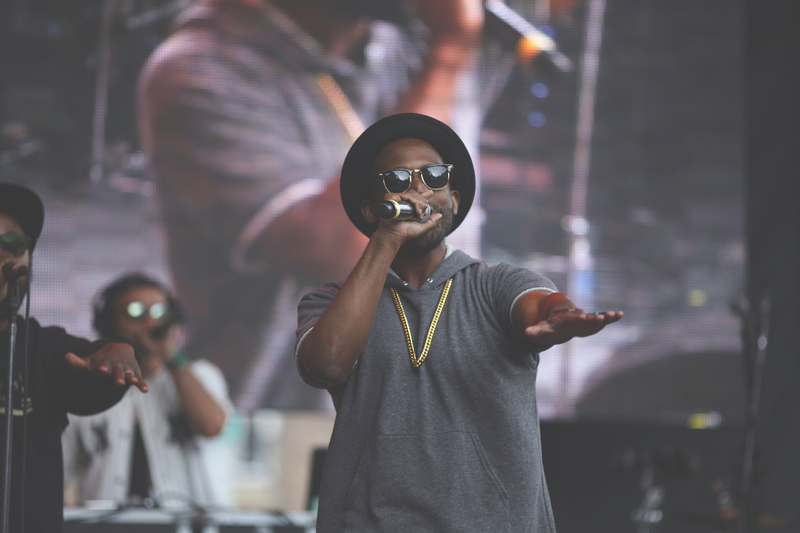 Seattle rap statesmen Shabazz Palaces kicked off the entire hip-hop lineup on Friday afternoon at the main stage to a relatively small contingent of devoted fans. SP’s set was great and everyone responded well to their spacey vibes and impeccable charisma, but the early time slot resulted in a slimmer than normal crowd. The same thing happened with the Physics, who kicked off Saturday’s festivities with a run-through of their latest album, Wish You Were Here. CHPB was low-key but not turned down. It was full of great shows and performances, but the typical nuisances of large crowds didn’t factor in; the attendance at both of these sets spoke to that. Some other stand-outs were Dex Amora and One Above Below None. Dex reminded me of the best version of Common and his goal of leaving the crowd in a positive mindstate was achieved. He has a ton of talent and we should all look forward to seeing more from him. Same goes for One Above Below None. Their music is interesting and challenges hip-hop archetypes: OABN have more of a rock band vibe that doesn’t feel contrived. 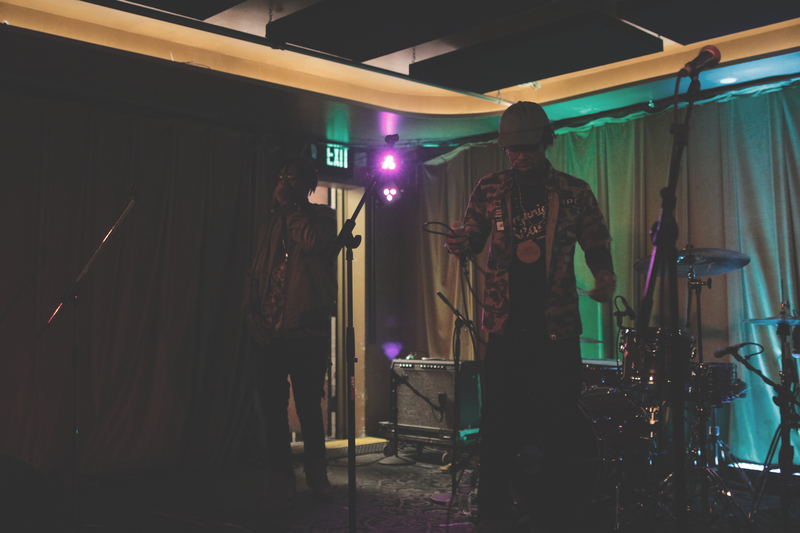 Their style adds diversity to the local scene, marrying rap and rock — including an awesome live band — in a successful way that makes you wonder why more like-minded hip-hop groups can’t pull the same thing off. 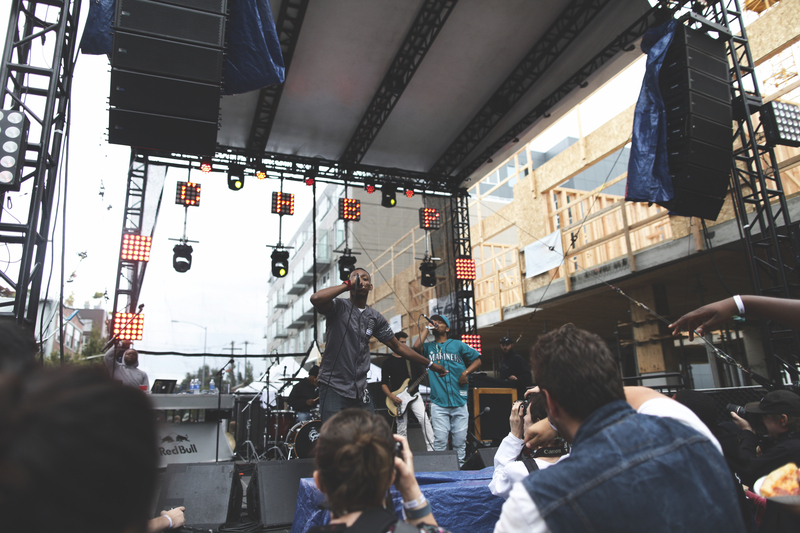 As this year’s edition of CHBP proved, Seattle hip-hop is both diverse and cohesive. The acts that I managed to catch this year painted a picture of the small worlds that make up the city as a whole. 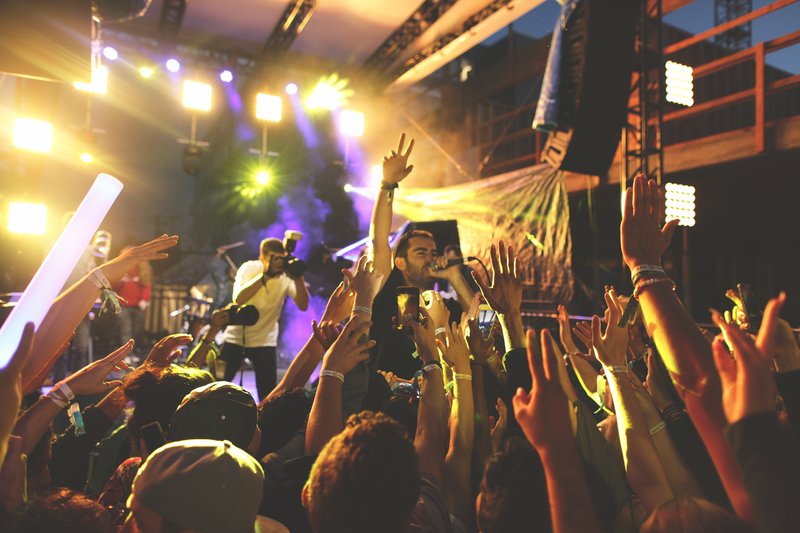 If you happened to catch all of the hip-hop shows at Block Party, I think you could leave with a good understanding of the key elements of what it feels like to live in this city and be a fan of its hip-hop scene. The CHBP crowd at night.